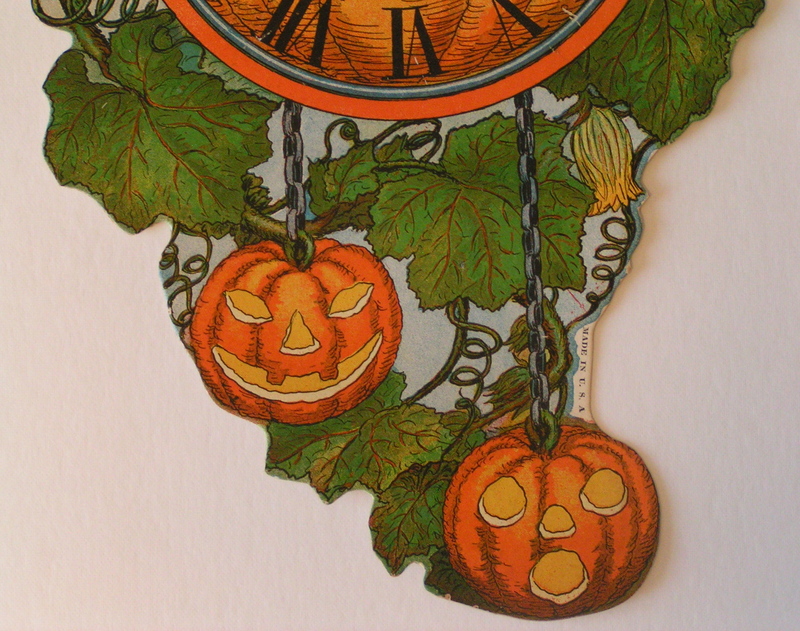 Made for a single season in 1923 during Beistle’s fairy mania phase, this elaborately decorated paper envelope was specifically designed for Beistle’s Hallowe’en Clock die cut. The envelope measures 15” h x 9.75” w. Early Beistle packaging is quite desirable as the company took great pains to make their packaging compelling and attractive. 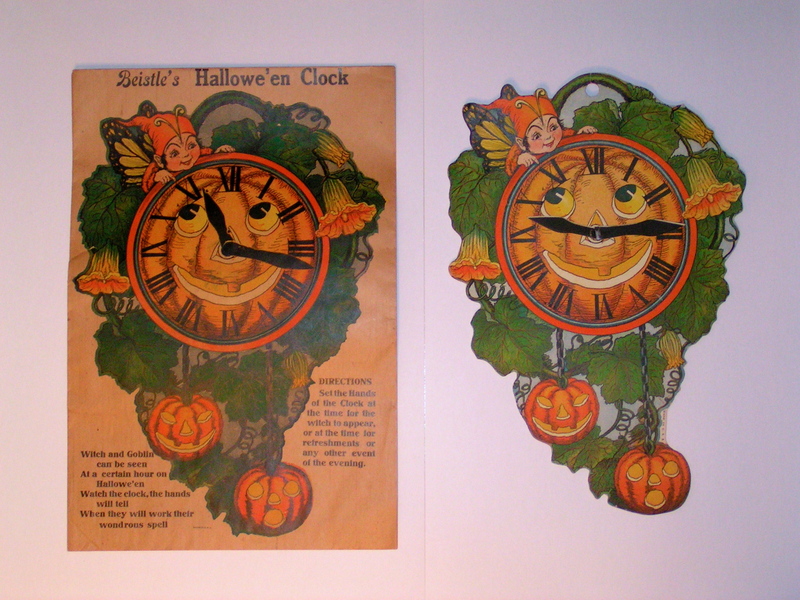 Beistle’s Hallowe’en Clock, USA, Beistle, (no mark), 14” h x 9.25” w. This clock diecut is certainly among the best of all of Beistle’s efforts and certainly is one of the more elusive. 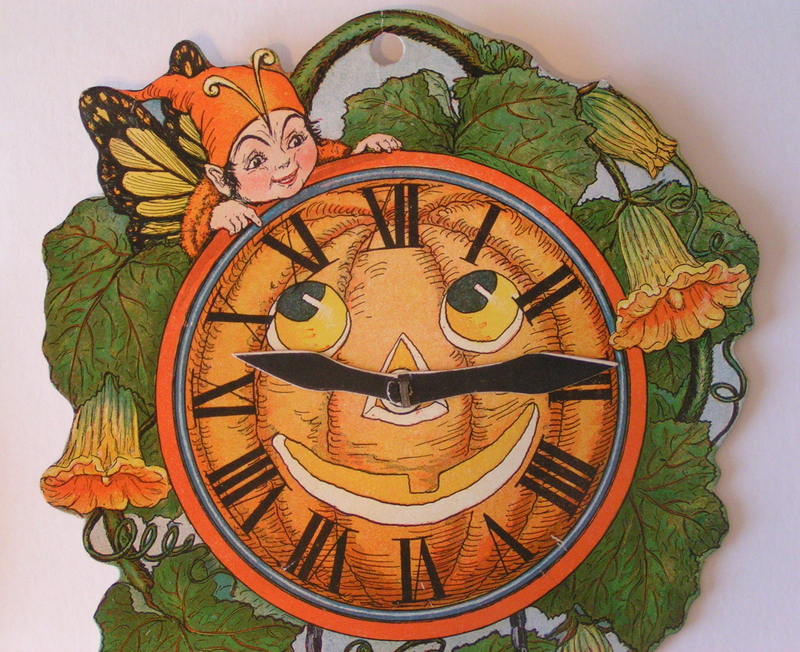 Made for a single season in 1923 during Beistle’s fairy mania phase, this non-embossed die cut has movable clock hands attached with a rivet. The wholly irregular border is prone to damage. Finding one with undamaged clock hands, vibrant color and a wholly intact border is difficult. This top-shelf example is in remarkable condition.